Part of my current design includes a vine-covered brick wall. I have some excellent images of vines that I've made into PNG files. I import them and they look very good on the SU model, but when I render the scene the 2D images disappear and I only get the underlying surface. Has anyone had a similar problem? I'd use 3D vines, but I can't find satisfactory ones. 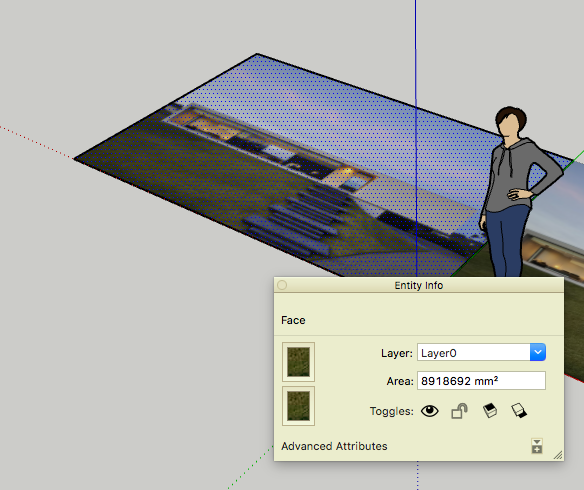 Is it possible you've accidentally painted the texture on the reverse side of the SketchUp face? Switch your display mode to monochrome to see whether you have reversed faces (they'll be blue). If the vines are reversed, select the faces, reverse them (right click + reverse). And then re-paint the vine texture on the correct surfaces. 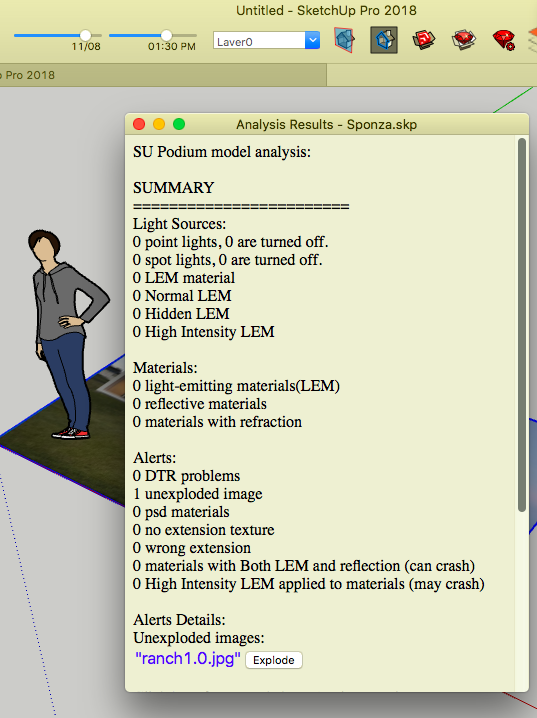 Second thing to check -- If you painted the textures onto a group or component, but didn't actually paint the SketchUp geometry, the textures probably won't render. To fix this you would want to drill down into the group/component, and make sure to paint the texture on the actual SketchUp faces. The main thing to check when using images in SU, is that they are exploded. Exploding them turns them into embedded textures that Podium can read. Until they are exploded, they aren’t actually proper 3D geometry, they are effectively ‘image planes’. Exploding them creates texture-mapped 3D planes (technically 2d planes in 3D space) that can be rendered. You are saying that for every object I got in my model, I have to explode them and remake a group ? so I don't have to reverse every faces? Only images which are not textures in the SU texture box need to be exploded. Podium has always handled groups and components fine. 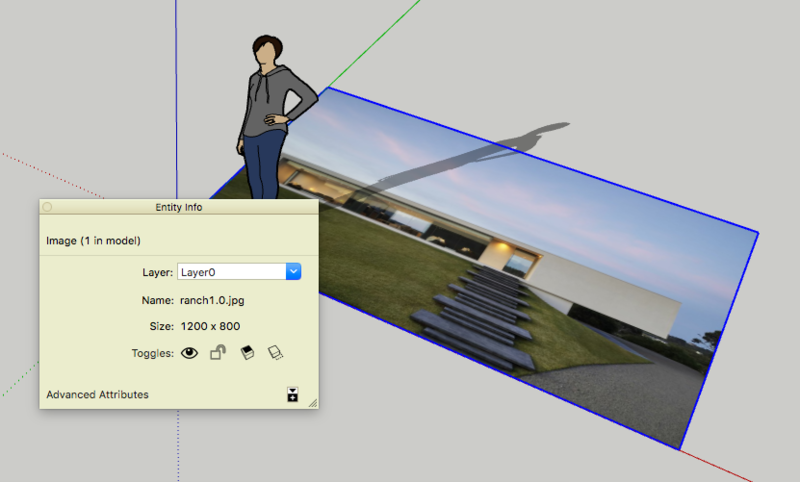 Images simply inserted into SketchUp have no geometry, and aren't read by Podium. Exploding them creates a plane with the image applied to it as a texture. You can see that the Entity info shows it is an image not a plane. When you explode the image, you get a textured plane. It looks identical, but is completely different. You can see that all I've done is copy the image across and explode it. We have 2 apparently identical objects in the scene which behave very differently. You can't extrude an image for example, and it certainly won't render. This is what happens when we render this scene with 2 identical objects. The one on the left is a face, the one on the right is an image. 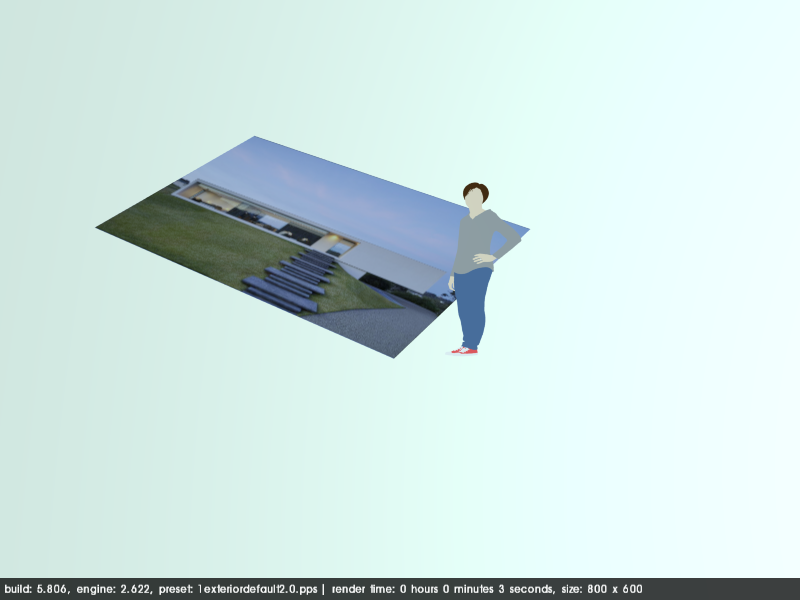 But why when I download a mode from 3d warehouse or I make one, I have to reverse almost all my sufaces ? because when i render, I don't the right materials? To be specific, it's full of badly-made models. Many have too many polygons, many have not enough, many have reversed faces, many have awful textures, many have textures that Podium doesn't support. Some have holes in the geometry and some have weird stuff in them that cause Podium to do weird things. We get quite a lot of support questions which relate to issues caused by 3DW items. This is why we built the Browser. Everything should work first time, every time, and needs zero configuration. Considering the time it will take you to find an appropriate model in 3DW and clean it up and configure it, the price of the full Browser Library is ridiculous. It ought to pay for itself in a couple of weeks at worst. At best, in terms of your time, it can pay for itself in under a day. There's a lot of free stuff in the Browser, but for most people I would suggest a licence for the full content is a must-have. 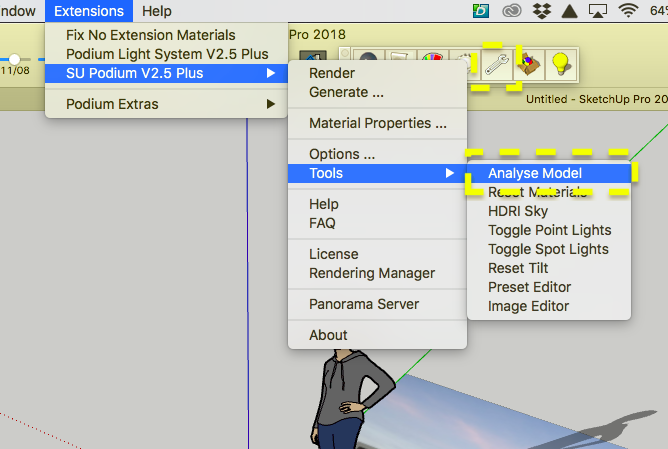 Although you don’t need to configure anything with Browser components, you can if you want say a curtain to be more transparent, or a texture to be more or less reflective.